Aqua Velva, Houston’s only and by default, best B-52’s cover band, Clouseaux, a band that defies description…lounge, tiki and eclectic are good adjectives to start with and The Flying Fish Sailors…all combined for one evening and it’s a pajama party to boot! Molly and the Ringwalds will be doing they’re usual happy hour show from 7-9ish. There’s no guarantee they will wear pajamas but the rest of us will be adorned appropriately. Wear yours and get in free! The Flying Fish Sailors had a very humble, yet ambitious beginning. 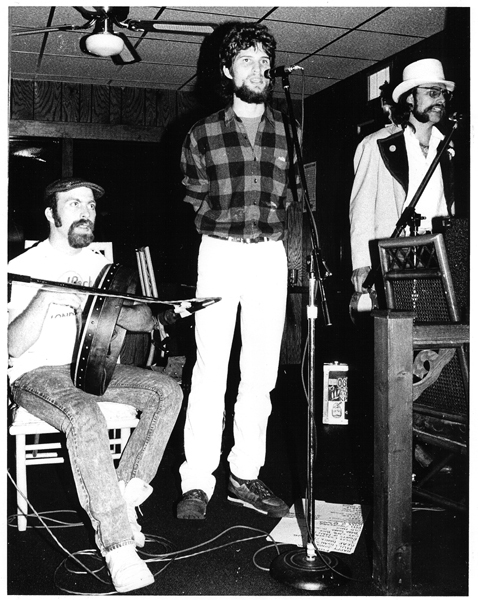 This is a photo from our first live performance (circa 1988) at what was then known as The Wellington Stone on W. Alabama in the Montrose area of Houston. Left to right: Jay Lee, Greg Henkel and Joseph Linbeck. It’s hard to imagine that we are coming up on 20 years of performing together.